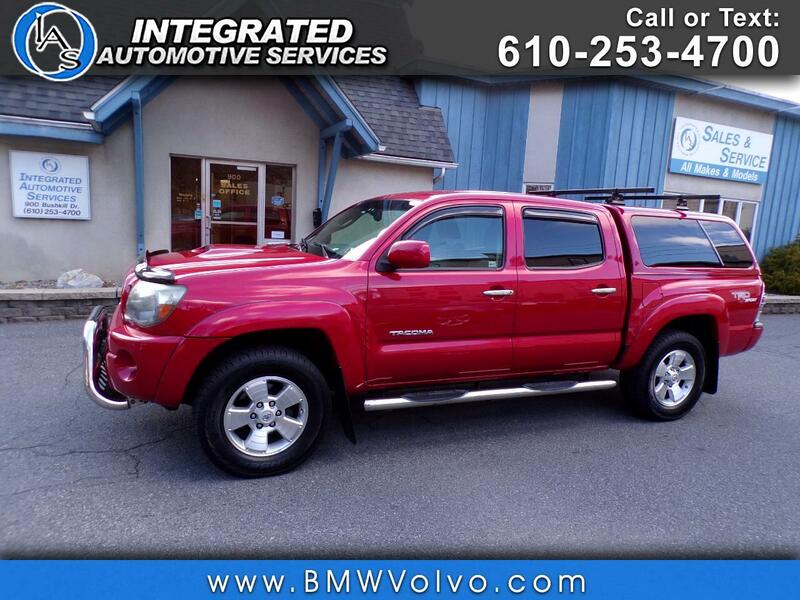 Used 2009 Toyota Tacoma Base V6 for Sale in Easton PA 18042 Integrated Automotive Services Inc. Recent Arrival! 4.0L V6 SMPI DOHC, 4WD, 115V/400W Deck Mounted Power Point, Bilstein Shocks, Chrome Grille Surround, Chrome Rear Bumper, Color-Keyed Front Bumper, Compass & Outside Temperature Display, Convenience Package Option 1, Cruise Control, Electrochromic Inside Rear-View Mirror, Front Fog & Driving Lamps, Leather Steering Wheel, Metallic Trim Instrument Panel, Multi Information Display, Power Door Locks, Power Mirrors, Power Windows, Privacy Glass, Remote Keyless Entry, Sliding Rear Window, Sport Grade Package, Sport Package, Sport Suspension, SR5 Badging, SR5 Grade Package, Sunvisors w/Mirrors & Extenders, TRD 16" 5-Spoke Sliver Finish Alloy Wheels, TRD Sport Graphics, TRD Sport Package, Variable Speed Wipers.